At the 2018 Southern Illinois School Press Association (SISPA) Convention, The Lance newspaper earned the Blue Banner Award, recognizing overall excellence for the October 2017 and December 2017 issues. 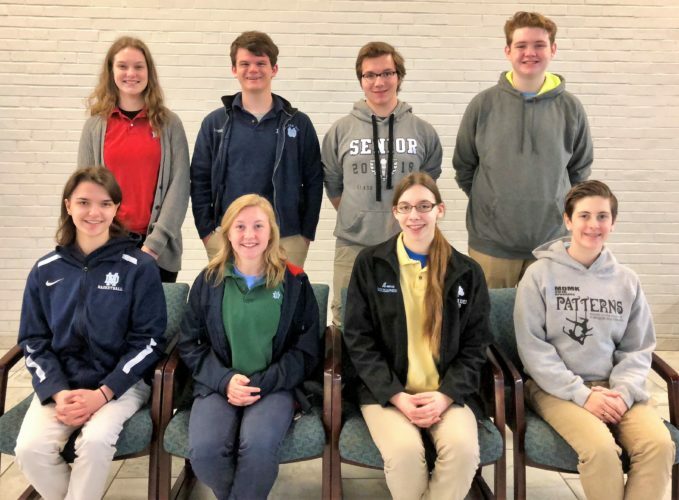 The 2017-2018 editors pictured below are (front, from left) Kendall Bowman and Katya Hoffmann, sports; Anna Klostermann and Ellie Stark, features; (back, from left) Katherine Maue, club news; John Hund and Ben Logullo, editors in chief; and Ben Wilke, pictures. We congratulate all members of the newspaper staff and moderator Mrs. Donna Goetz!